Welcome to the homepage of bfp Versand! We hope that we can convince you of our special assortment und services. For football coaches we offer effective and modern training products. Sport tutors and professional massagers can find a multifactered and helpfull array of products. For football ground tutors and greenkeepers we have a wide range of goals, marking products and lawn products. 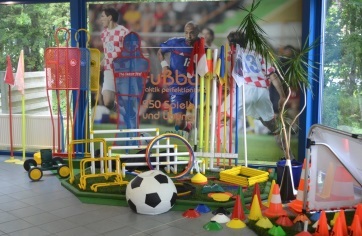 Furthermore, we carry special presents for active and passive members of a sportclub to honour special achievments. Many years of experience - Diplom-Wirtschaftsingenieur Anton Lindemann founded his shipment in the end of the 80s - arised a complete and a well thought out assortment which is presented on this homepage. Many innovative products around sport and training are developed by the company itself and furthermore new products from producers in different countries all around the world are offered - always to be up-to-date, innovative and professional. Professional coaches and clubs as well as amateur clubs and coaches around the world uses our products for training and planning ! 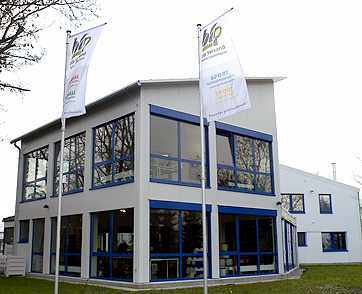 Our company is located in Leer/Ostfriesland and at this place every job is edited. For your enquirys and orders our team of experienced and trained personnel will be glad to be of help. Beside our daily updated online-shop we offer you once a year a brochure with new and innovative as well as proven products for a successful training! If you don't want to miss any of our unique offers and products please suscribe for our newsletter or visit our website! Check out our product's and service's high-quality for yourself! Please do not hesitate to contact us if you need additional information. We would be glad to be of help.